ABU DHABI, 6th November, 2017 (WAM) -- Ahead of the official opening of Abu Dhabi Art on Wednesday, 8th November, the fifth series of the international art fair’s performance art programme, Durub Al Tawaya, recently launched at Warehouse421. Curated by Tarek Abou El Fetouh, an independent curator and architect, Durub Al Tawaya offers audiences the opportunity to engage with contemporary performances that are inspired by the unique urban fabric of Abu Dhabi. 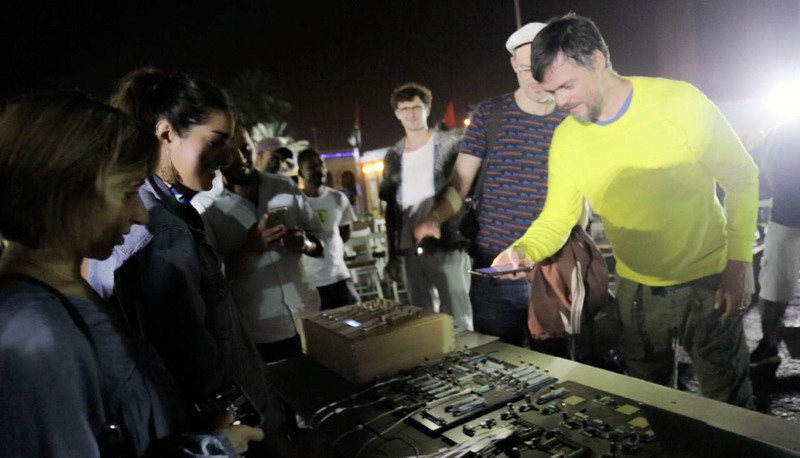 For its 2017 edition, the art programme investigates the particular soundscape of Abu Dhabi as a cosmopolitan city par excellence, and explores the different ways contemporary artists engage with spoken language, sonic landscapes and musical genres produced within different urban contexts. 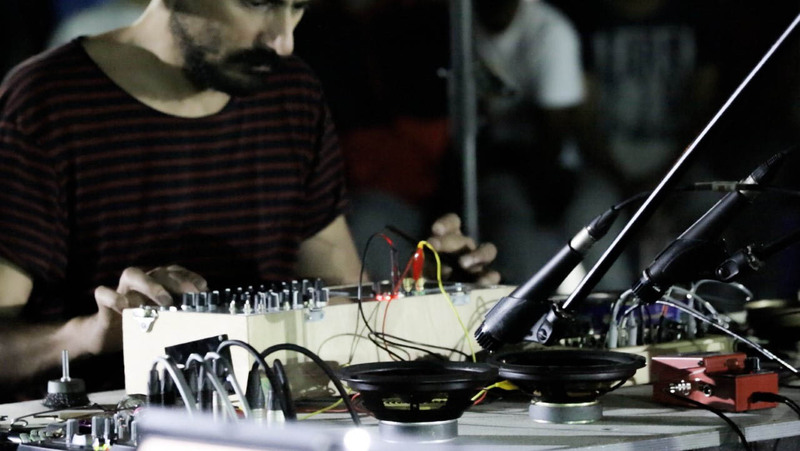 Artist and electro-acoustic composer Tarek Atoui use multiple microphones placed in locations in and around the Mina Zayed port area to record the sounds of inanimate objects, natural elements and human activity. The resulting compositions, based on the sounds of air, water, stone, birds and the marine industry, were performed by Atoui, Eric La Casa and Mazen Kerbaj at Warehouse421 at the Friday launch event.